With the festive season almost fully descended upon us, now’s the time to start planning and getting organised. 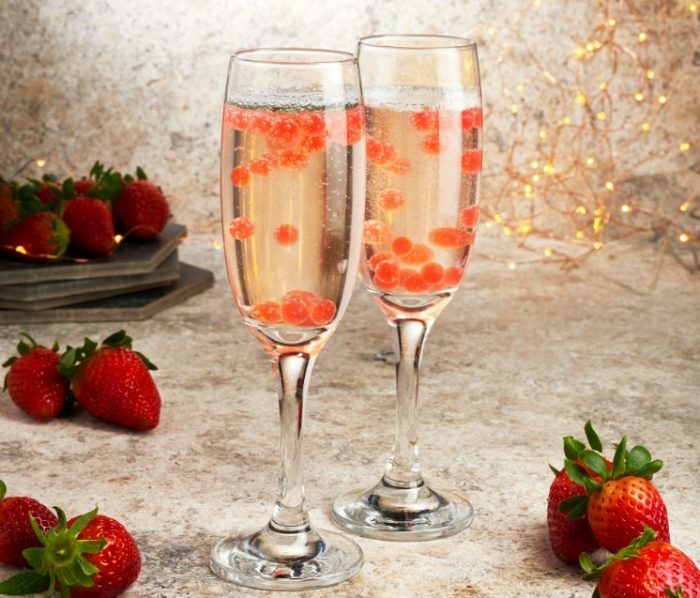 If you’re hosting this year, or if you want to make sure the drinks are in for unexpected visitors, the recipes in this blog will wow your guests and really tickle the taste buds. Bottled up in stylish storage jars, infused spirits will make fabulous homemade gifts…don’t forget to make a batch just for yourself, too! Get ready to master the technique of homemade flavoured spirits with our easy-to-follow recipes and step-by-step guides. Some of these recipes take 3-4 weeks for the infusing to kick in, so it’s best to plan ahead. But if you’re reading this with just a couple days until Christmas, you’re in luck, there’s a recipe in here that takes just 24 hours, from making to drinking. With its deep red colour, cranberry infused vodka is the perfect tipple for the festive season. It takes just 15 minutes to make, but you must remember to give yourself a week for the fruit to fully infuse into the vodka. Place all the cranberries, sugar and vanilla extract into a medium saucepan over medium heat with 1 tablespoon of water. Stir frequently and let the mixture simmer for about 5 minutes or until the berries have burst. Pour the mixture into a large airtight container and add your vodka. Mix well, cover tightly and let sit in the fridge for one week. After one week, strain the mixture with a muslin square. Simply store in the fridge. Serving tip: Pour a small amount of cranberry vodka over ice and add tonic water. Garnish with a slice of lime. If you’re planning on giving cranberry vodka as gifts, then pour it into a stylish Kilner jar, tie ribbon around it and attach a gift tag. To make the vodka go further and create multiple gifts, you could split the infused vodka into smaller bottles. ll have to be made in advance – you’ll need 3-4 weeks for the rhubarb to fully dissolve into the gin. Wash the rhubarb, trim the stalks and leaves and discard. Cut the stalks into 3cm lengths. Put in a large jar with the sugar. Shake around and leave overnight to let the sugar draw out the juice from the rhubarb. After 24 hours, add the gin, seal the lid and shake. Leave for three-four weeks before drinking. You can either strain the liquid through a muslin-lined sieve or leave the rhubarb inside the jar. Top this concoction with tonic water for a fizzy, fruity hit. If well sealed, correctly strained and kept in a cool dark place, flavoured spirits can keep for up to a year. This boozy, citrusy drink can be enjoyed on its own, in prosecco or even poured over ice cream. Pare the zest from the lemons. Be careful not to include any white pith. Put the zest in a large airtight jar and pour over the vodka. Close the lid and leave for a week, shaking the jar each day. Put all the sugar and boiling water together in a heatproof bowl. Stir until the sugar has dissolved. Leave to cool. Add to the vodka and zest mix. Leave for a further week, shaking the jar regularly. Strain over a muslin-lined sieve. Tip: Add a few strips of lemon zest to each bottle for extra character. If you don’t have much time on your hands and fancy making infused vodka and gin the easy way, you’re in luck. 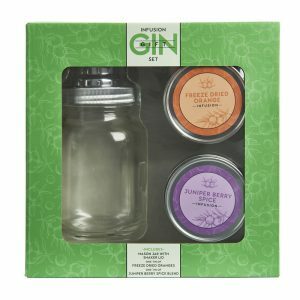 We have gin infusing kits that will produce your favourite tipple in just 24 hours, and a set that adds instant fruity flavour to your gin. Simply add vodka to the mason jar with the included ingredients, close the lid then leave in a cool, dry place for 24 hours to create your own gin. Shake well and pour over ice in a cocktail glass. Garnish with lemon peel and a rosemary sprig. 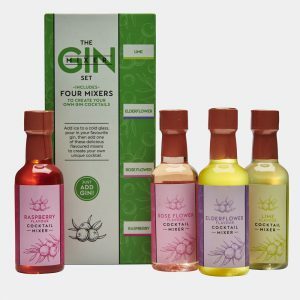 Add ice to a cold glass, pour in your favourite gin, then add one of these delicious flavoured mixers to create your own unique cocktail. We hope you’ll enjoy making infused spirits as much as you do drinking them. Here’s to a very Merry Christmas!